As part of the Colorado Association Home Builders’ opposition to Senate Bill 181, the oil and gas legislation moving quickly through the General Assembly, CAHB CEO Ted Leighty testified in both the Senate Finance and House Energy and Environment committees, expressing concern about the negative impact of SB181 to surface uses including the development of affordable housing. 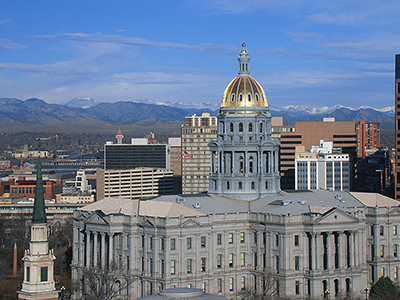 The association’s “position is based on the uncertainty caused by the bill – uncertainty for the fiscal impact to the state, but also uncertainty for our industry and for Colorado’s economy. The threat of unknowns of how and when each local government will regulate energy production also affects the home building industry. Leighty and the CAHB’s lobbying team continue to work to amend SB181 to incorporate the concerns of our industry. Last week, the CAHB met with House Speaker KC Becker to express our industry’s concerns and to offer several concepts to address those in the bill. We thank Speaker Becker for meeting with us about our concerns and for considering our concepts to address those concerns. We will be sure to keep our membership updated on this important legislation. HB19-1228: Increase Tax Credit Allocation Affordable Housing (Position = Support) —This bill increases the amount of state affordable housing tax credits for 2020 through 2024 that the Colorado Housing and Finance Authority (CHFA) may allocate each year. The CAHB has supported this tax credit in previous years to help address access to housing. 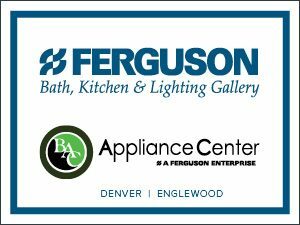 HB19-1231: New Appliance Energy and Water Efficiency Standards (Position = Oppose Unless Amended) —This bill adopts updated water and energy efficiency standards for consumer and commercial products. The standards are phased-in over a three-year period and apply to new products sold or installed in the state. The sale or installation of a noncomplying product after the effective date of the applicable standard is defined as a deceptive trade practice under the Colorado Consumer Protection Act. CAHB will be working with allies in the business community to limit our members’ exposure to any deceptive trade practices. HB19-1239: Census Outreach Grant Program (Position = Support) — This proposal creates the 2020 Census Outreach Grant Program in the Department of Local Affairs to provide grants to support an accurate Census count in 2020. The GAC supports this bill since it will allow local governments and other entities to assist with a more accurate Census count for Colorado. HB19-1245: Affordable Housing Funding from Vendor Fee Changes (Position = Amend) — This bill requires the state treasurer to credit a portion of state sales taxes attributable to a vendor fee change to the housing development grant fund, which the Division of Housing in the Department of Local Affairs uses to make grants and loans to improve, preserve, or expand the supply of affordable housing in the state. The GAC believes that affordable housing is a statewide concern and that this bill, if amended, may provide funding to increase the supply of affordable housing. HB19- 1258: Allocate Voter-Approved Revenue for Education and Transportation (Position = Support) – This bill is contingent on voters approving HB1257 and would direct the state in years when Colorado retains excess revenue to allocate equally to three statewide priorities—public schools; higher education; and roads, bridges and transit. HB19-1260: Building Energy Codes (Position = Oppose) — The bill requires local governments to adopt one of the three most recent versions of the International Energy Conservation Code when updating any other building code. Requiring this will create additional burdens on local governments to update its codes and then enforce those codes, without regard to local resources and circumstances. SB19-188: FAMLI Family Medical Leave Insurance Program (Position = Oppose) — The bill creates a paid family and medical leave insurance program as an enterprise in the Colorado Department of Labor and Employment. Colorado employees and employers will contribute in equal shares to a monthly premium based on wages. The program would then fund a leave benefit for individuals to care for themselves or family members. The CAHB has joined a large business coalition opposed to this measure. To track the CAHB’s legislative positions—including bills that the GAC supports, opposes and monitors—please visit CAHB Bill Tracker.